These instructions are fairly straightforward. This allows you to update the run configuration to the latest version. My switch already had the latest version of the PROM, so I only upgraded the RUN firmware image. Set the Boot Image or create, delete a image. Now go to APPLY which will start the Z Modem receiver on Switch; Depending on terminal software, that may bring up a Z Modem upload option automatically. Otherwise select it yourself, select the run image and upload. If there is an issue with the new run image you can repeat these instructions to go into the BOOT CONFIGURATION MENU and change the setting back to old image, delete the errant image, etc. I recently upgraded my computer and I had to transfer data from my old harddrives. 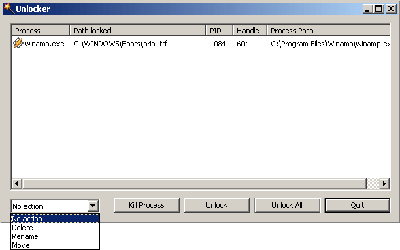 The problem was, as you can guess from the title, is that XP would not preserve the modified date on directories (although I believe the Create time is preserved). I was hoping for a program that would integrate into my explorer context menu, etc. I tried some other ones that had their own gui (and the ones that did integrate), and none of them would preserve the modified timestamps. I tried xcopy but couldn’t figure out how to preserve the modified date. rsync -a -v --progress /cygdrive/e/Data . I like rsync since I can run it over and over again and it will only copy changes (although it will still traverse the directory tree to compare files). Especially handy when you get errors that it can’t read certain directory etc. In my case, I had issues with it reading a directory that had url link with foreign characters in the filename. And this method is probably little too high level for most home users. Cygwin can be problematic and seems complex to install. Also I think you may have to manually select rsync during install. I’ll keep a look out for other programs, and will update this post if I do find it. I wrote earlier about banding on my Canon S9000 Printer. Here is an update, 2 years later. I forgot to note earlier, that I use refillable ink cartridges. I bought them about 2 months after purchasing the printer, and going through about 4 or 5 sets of ink cartridges. So this update mainly concerns people that refill their cartridges. About 5 months after I wrote that ‘article’, the problem started to happen again. I hadn’t used the printer in about a month and a half and two or three of the ink cartridges were totally empty. Cleaning the head didn’t help. So I tried using new empty refillable cartridges, and that worked great. The output was just like when I had bought the printer new. The refillable cartridges have a limited lifetime. The cartridges I had problems with, I had refilled them about 15 or 20 times, and lasted over a year. If the ink runs out totally, there is probably a good chance that ink would dry up in the ‘foam’ part of the cartridge, and restrict the flow rate. So if you’ve tried cleaning the print head, and that doesn’t completely fix it, then its probably that your refillable cartridges are toast. If both don’t work, then you will probably need to buy a new print head. I’ve had this one issue where Windows XP would not let me delete couple of files in different directories. I found a cool little (and free) tool that called Unlocker that lets you unlock those files. Basically, after you install it, right click the file, a group of files, or a directory, and select “Unlocker”. 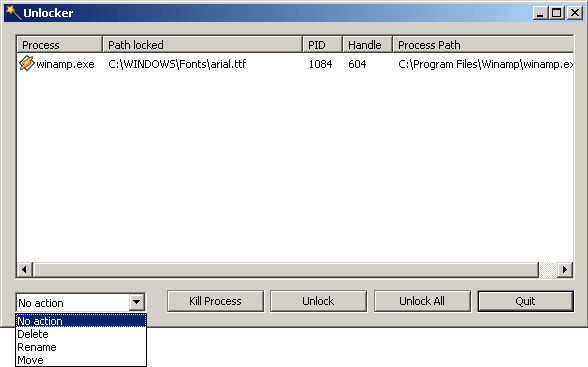 It will popup a window showing what program has a lock on that file. Really comes in handy. I also use it to find out what programs have a certain file open. There is also a thing called Process Explorer This program is usefull to find out what files a program has open (as opposed to what program has a certain file open). But that might be easier in the current versions. But the above won’t help if the reason you can’t delete a file because a file has invalid characters in the filename. in that case, visit this Microsoft KB article might help. I guess it should help in cases where unlocker might not be able. This is about when you right-click in a files area of Windows Explorer or right-click the desktop, and go to New menu. In my case my text file entry got lost (I guess while I was trying to install & uninstall different text editors). Searched on the net, and found one answer. Didn’t work. Searched some more and found out that the first answer was only half the piece. Double-click FileName and enter the name of the file that you saved under the C:\Windows\ShellNew\ . Click on the extension key again (.txt) and note the ”(Default )” Value. Go to that value under HKEY_CLASSES_ROOT . Repeat steps 4 to 6 for this key. I did not reboot for this to take effect. But YMMV.